A few weeks ago, I mentioned how color is back for fall and how happy I am about that. 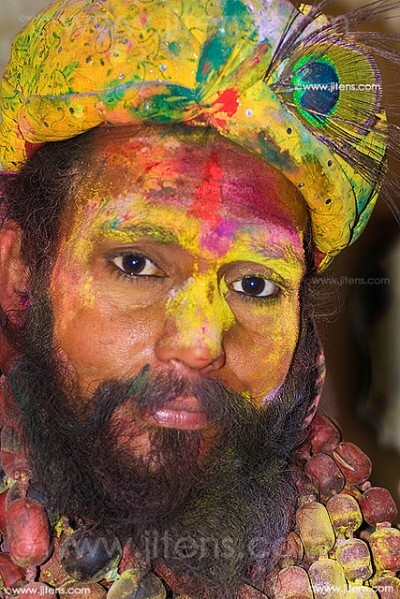 I’ve been thinking a lot about color recently, and I keep coming back to images of the festival of color, or Holi, that occurs every year in India. 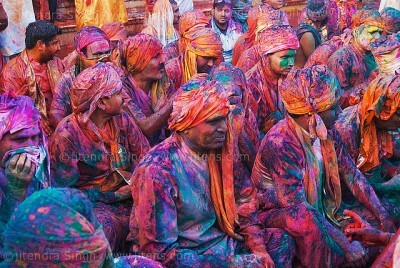 At the festival, participants celebrate by throwing pigments at each other. The result is the most amazing cacocphany of color I’ve ever seen. All these images come from a Flickr group by Barsana Nandagon. You can see many more images from the Festival there. We could use a holiday like this ourselves, couldn’t we? 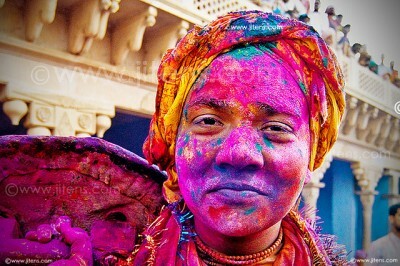 What better excuse for a celebration than simply the fabulousness of the color around us. Is this the festival when they pour milk over their statues first? We saw a marvellous doco on this,the children were fascinated.